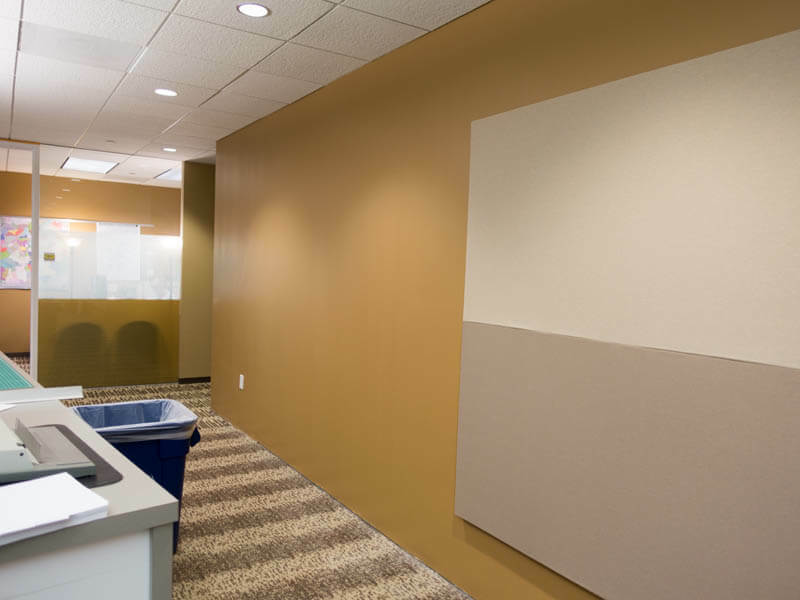 Interior Painting-Atlanta | Spectrum Painting, Inc.
Our interior painting services range from standard office suites and corridors to mechanical rooms, back of house areas and more. 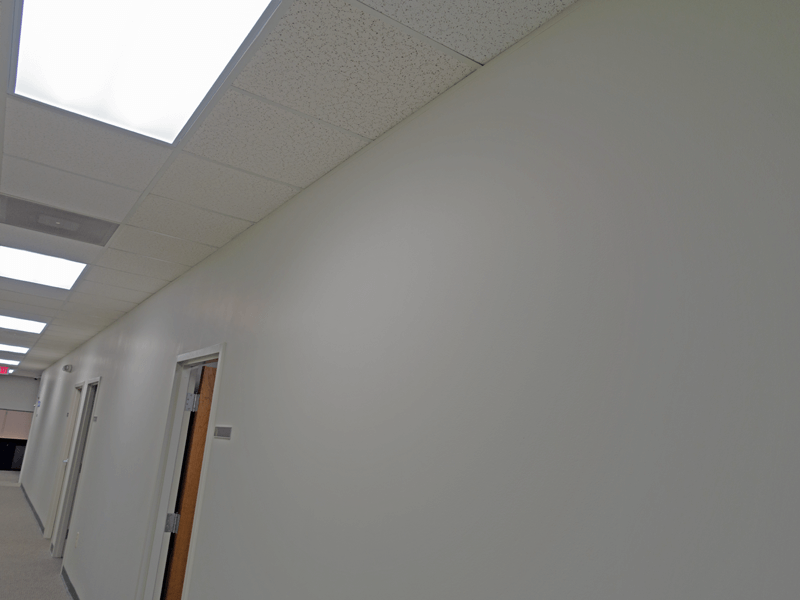 We perform standard paint installations on walls, ceilings, and trim surfaces. We provide electrostatic painting as well as Zolatone/Polymix installation. 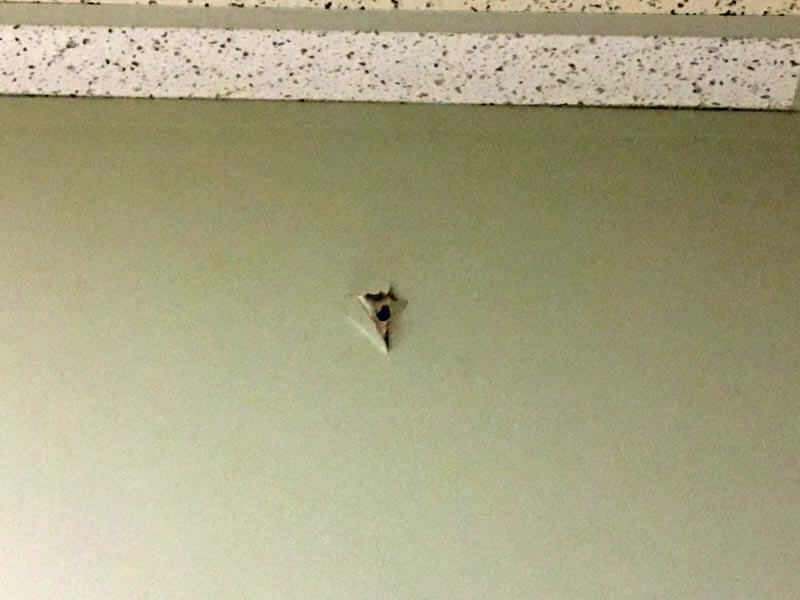 Drywall repairs and whole sheet replacements are common occurrences due to water damage, deliveries or ordinary use. We easily make those problems go away. Paint can work miracles on a concrete floors. 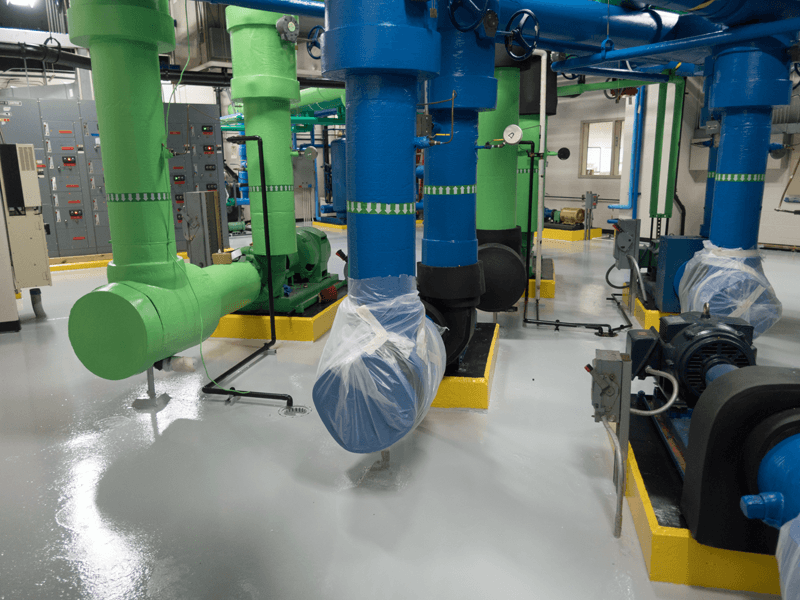 We install low VOC, LEED-certified epoxies and low-slip latex floor coatings in mechanical rooms, warehouses, stairwells, patios and more. Polished concrete is fantastic option for high-traffic areas. Polished concrete floors look nice and provide a low maintenance finish. We build new and remodel existing panel systems, like the lobby pictures on the right. The heavy-duty impact vinyl wall protection and crash rails systems are ideal for medical, loading dock corridors and other high-traffic areas receiving deliveries and mail carts. Standard vinyl or fabric wallcoverings offer aesthetic enhancements as well as wall protection. Who doesn't like to see their mechanical and back of house areas looking as nice as a common area corridor? 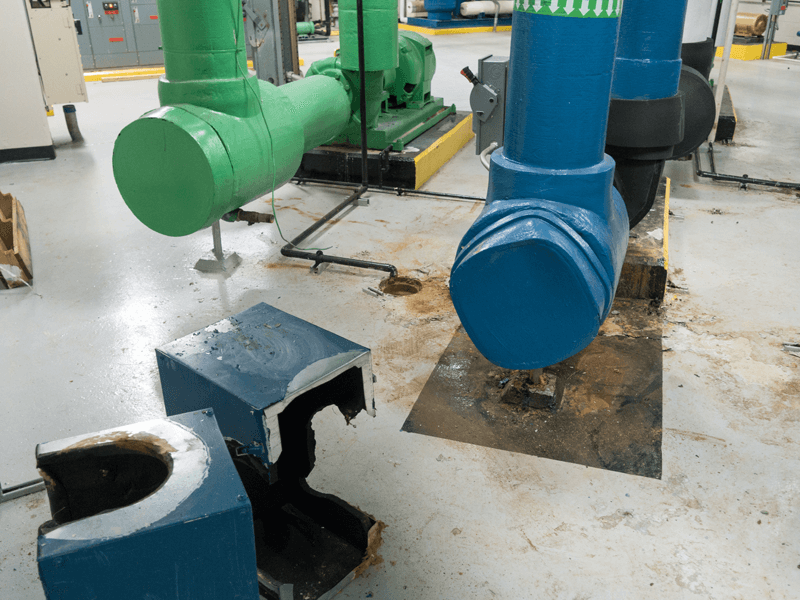 One of our favorite projects is painting and pipe identification in the main plant, fire pump, electrical rooms, stairwells, and loading dock corridors. When the budget permits, we can work miracles. Leaking pipes or icemakers are very common disasters. 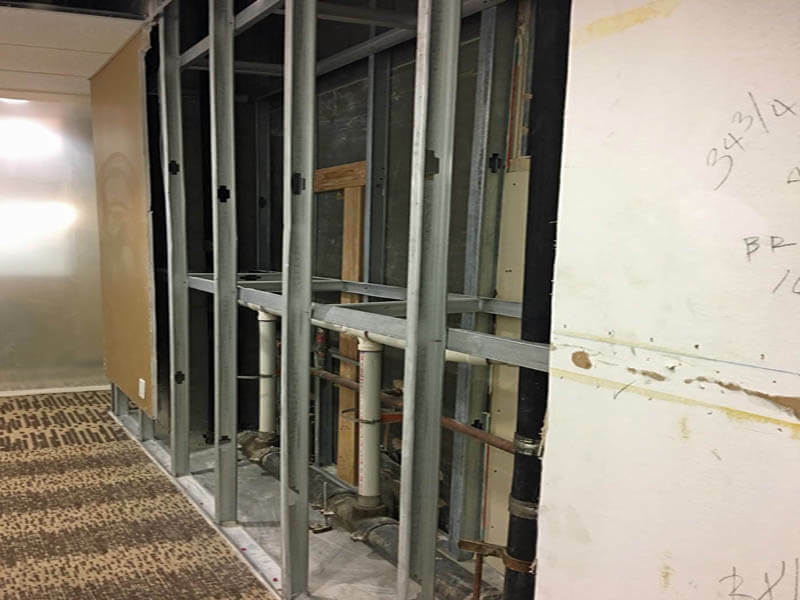 We rebuild the walls, paint, and install new cove base, enabling you return the space to the tenant in 'like-new' condition. Paint can work miracles on a concrete floor. We install low VOC, LEED-certified epoxies and low-slip latex floor coatings in mechanical room, warehouses, stairwells, patios and more. Polished concrete is a fantastic option for high-traffic areas. Polished concrete floors look nice and provide a low maintenance finish. We build new and remodel existing panel systems, like the lobby pictures on the right. The heavy-duty impact vinyl wall protection and crash rail systems are ideal for medical, loading dock corridors and other high-traffic areas receiving deliveries and mail carts. Standard vinyl or fabric wallcoverings offer aesthetic enhancements as well as wall protection.